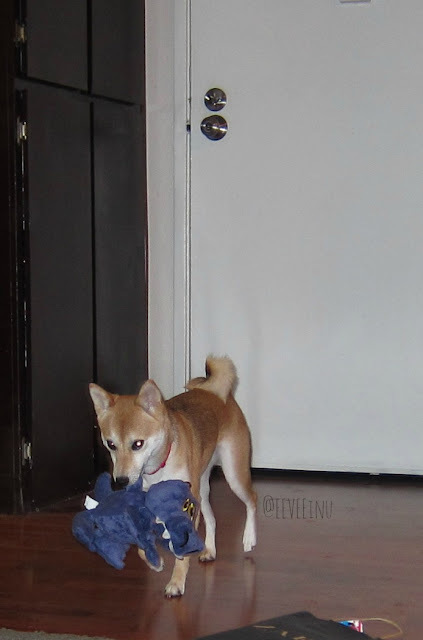 EEVEE inu - Your Daily Dose of Shiba : EEVEE in Action. Just a quick action shot for today's post. Playing with Mom and a dragon toy from Target.